So a while back, we had made a DIY Black Soldier Fly Biocomposter and posted the DIY part here. We chose the Black Soldier Fly (BSF) because they are insatiable composters and we have more to compost than our small worm population can handle at the moment. We have weekly harvested microgreen flats, add to that the lower lettuce leaves, bolted lettuce or herbs, damaged plants from the wind or rain storms… meaning we have lots of vegetative compostables that we certainly don’t want to add to any landfill! So, we have recruited more composters that are native to Florida. Who doesn’t like free? Just as a reminder, this is what the DIY BSF Biocomposter looked like. At the end of June, we finally layered in charcoal (up to the top of the horizontal part of the drain pipe) and chunky coco coir (a couple inches) and then some spoiled papaya and other food scraps. Afterwards it was set outside to do it’s thing. On July 20th, we had our first migration and collection of the pre-pupae from this small biocomposter. We did not buy any BSF larvae or eggs, just set the container outside in the shade near a bush with some fruit and food scraps where the adult Black Soldier Fly (Hermetia illucens) found it and layed eggs. Day 31 the first two appeared in the collection bin. This is Day 32 – the next night’s harvest. This was 2 nights later – Day 34 – looks like full production! Chickens are loving it! The migrate at night right into the collection bin. So cool! Success so far! Looking to build 2 larger sized ones for outside the harvest end of the hoophouse and maybe even a hatchery and propagation station! This would allow some of the larvae to pupate into mature flies and keep that cycle going. Once our chickens and tilapia have had their fill, we may even try to sell them to other BSF enthusiasts that live in short season climates, as well as exotic pet or other livestock owners looking for a sustainable high protein feed (up to 42%). Adult BSF on the outside (and hopefully going in to lay some eggs) The chickens are hungry! The adults can lay up to 900 eggs. The BSF do not carry human pathogens. 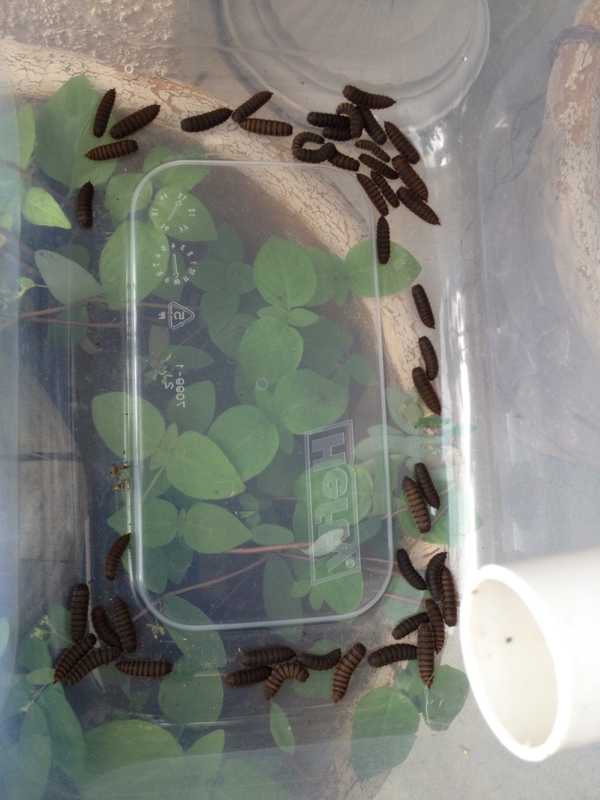 The BSF larvae in the larger of the containers can eat up to 2 pounds a day! The BSFs can eat almost anything, even meat, unlike composting worms (who get no dairy, fatty, meats, oils). Truly nature’s best warm weather composters! On to the next crawlies….though none are truly creepy! In mid-April, we picked up one pound of African Nightcrawlers (Eudrilus eugeniae) to start composting our harvested microgreen trays (now relegated to the BSFs, they are faster). These composting worms are being used to transform a waste product (our vegetative farm scraps) into a nutrient rich vermicompost to use again to amend of our soil-less soil. The bag pictured above was bed run, so there were cocoons (worm eggs) and worms of all sizes in there (along with a few BSFs that snuck their way in). The BSFs are commonly found in the same environment as the ANC when they are raised outdoors in Florida. 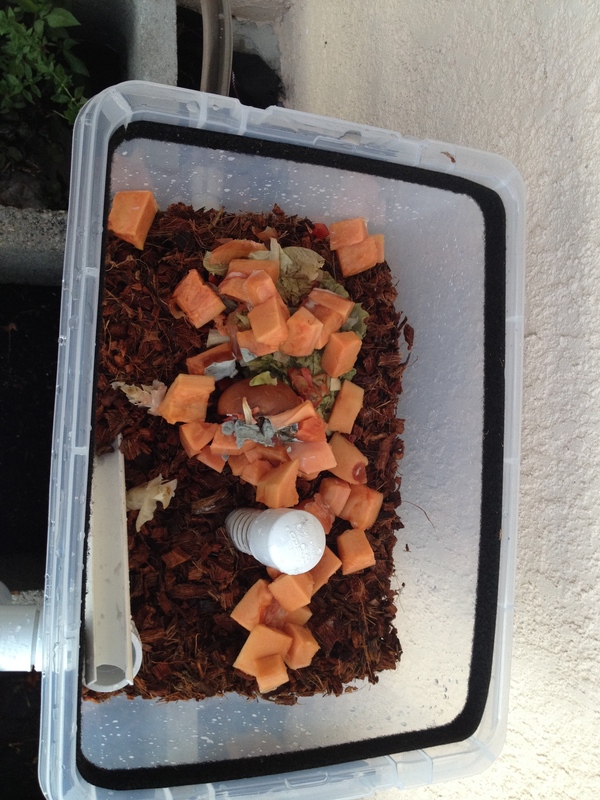 One feeding of paper and food scraps (about 4 weeks after transitioning them to the bin and feeding bi-weekly). This was covered by a damp papertowel to keep out any fruit flies that will also want those scraps. We usually put the food underneath the shredded paper for the same reason. 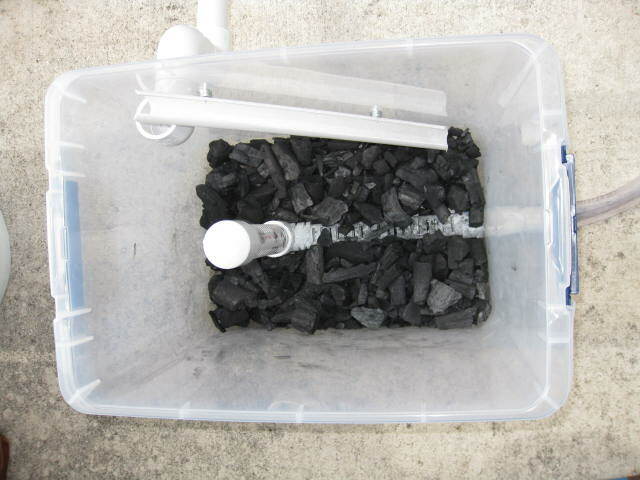 These pictures are our DIY worm bins we are currently using. 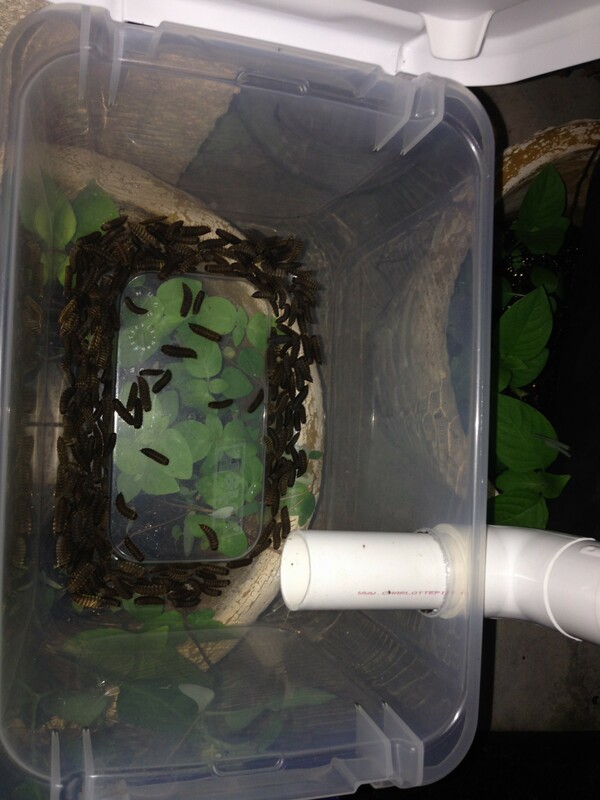 The worms migrate from the bottom to the top as you fill with peat and feed. These bins have 1/4″ holes drilled in the bottom to allow for drainage and migration of the worms. When the bin is full almost to the top, you add a new bin on top of the old and they keep migrating up to where the food is, while you harvest the compost and worm castings in the lower bin. This keeps repeating by stacking the bins. 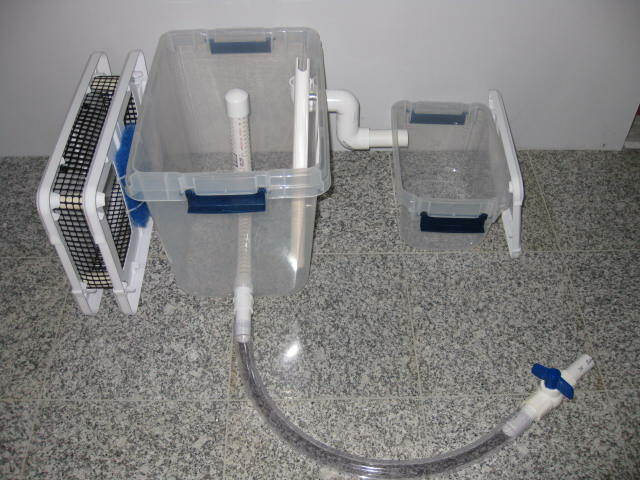 We have found that this a quick and simple system that is great for DIY at a home scale. However, we don’t feel it would be practical on a farm scale. So, as soon as we make a couple sifters and some special buckets, we will be repurposing this worm bin for staging worms for sale. We are switching to a bucket methodology to get a better handle on inventory and purposeful production, which is difficult to do with bedrun and the current stacking bins. The cardboard is to give them adequate airflow, darkness and prevent too much evaporation. We have the two containers sitting inside a large box to help contain any escapees. Lights on at night helps with that too. 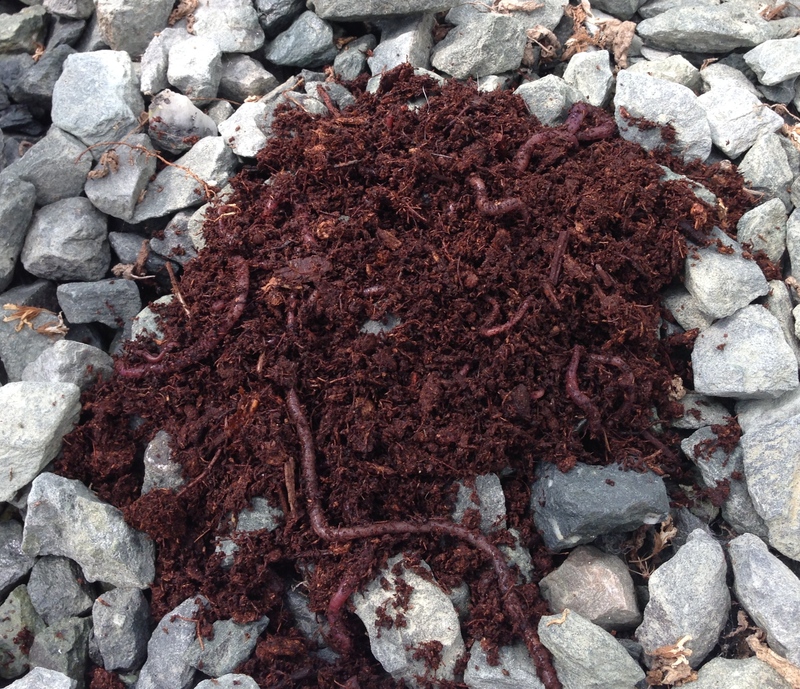 This week we released the composting worms into the media bed to do their thing (vermicomposting). 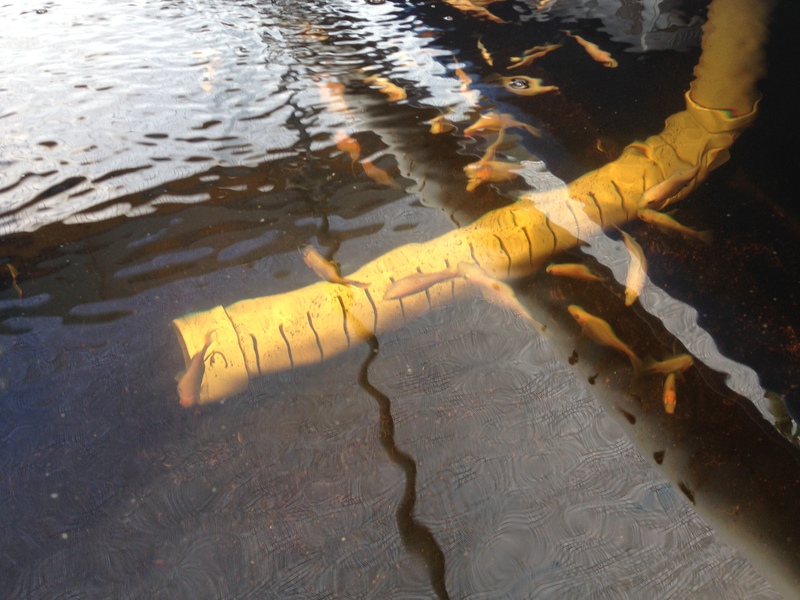 They help break down any excess and dead roots, fish solids, along with other organic matter in the beds that could otherwise produce anaerobic conditions in an aquaponics system. As an added benefit during that process, they release nutrients into the system for the plants to uptake that would not otherwise be available, mostly micronutrients and chelated minerals. Due to our hot climate, we chose a NightCrawler specimen rather than the more common Red Wiggler, who like the cooler temperatures. Didn’t take them long to run from the light. More on the worms in the coming weeks, including how to build a DIY Worm Tea Brewer. The aerated worm tea contains lots of beneficial microbes that help the plants fight off pests and diseases naturally (not for human consumption). While you are waiting, here’s a great video from Murray Hallam about the Aquaponics Secret Weapon – the worms! The Red Nile Tilapia are getting to a good healthy size. 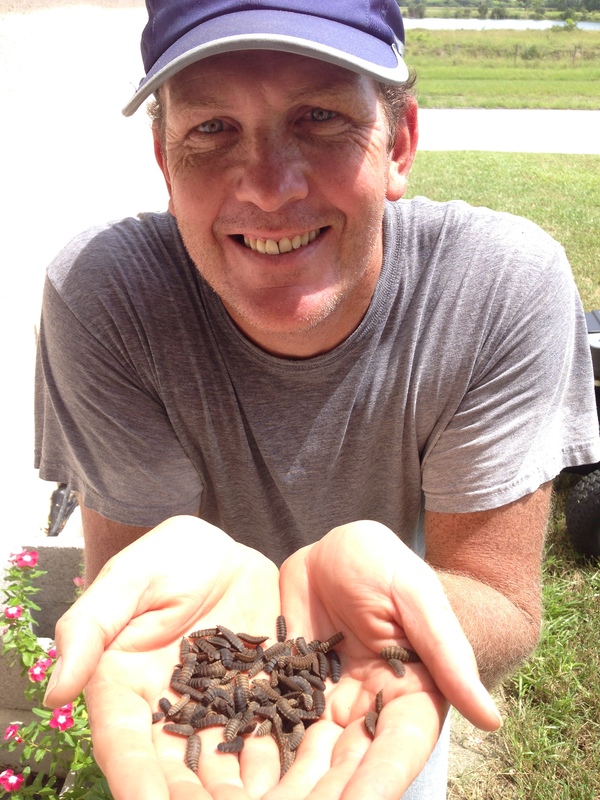 They are ranging now from 1″-3 1/2″ still being fed pellet crumbles and few whole pellets. 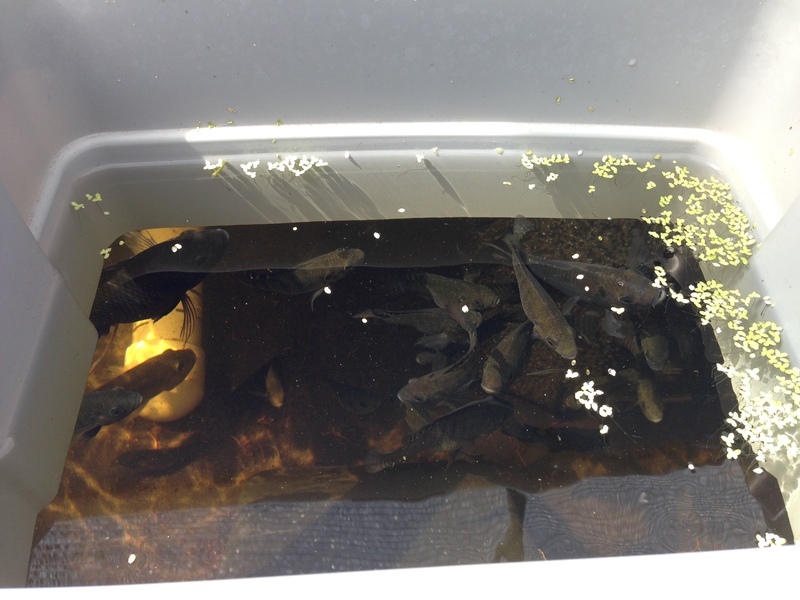 The Blue Nile Tilapia are enjoying some duckweed in addition to the pellet rations. Some are getting to be breeder size. Time to build the hatchery! 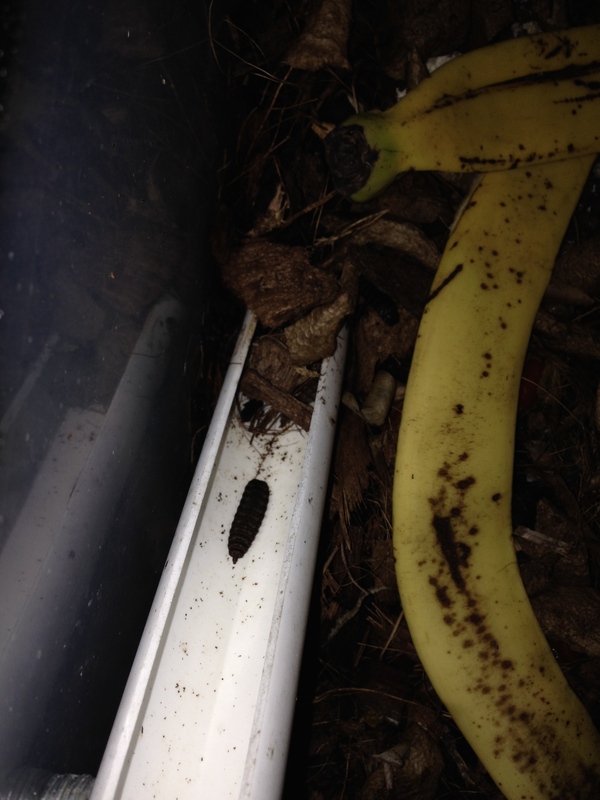 Reloading the DIY Black Soldier Fly BioComposter… papaya and other goodies we didn’t get to in time.